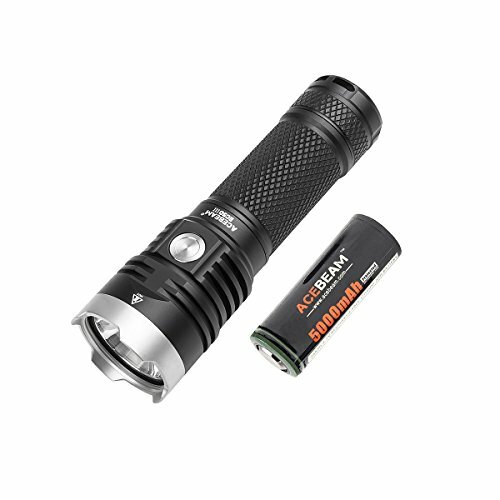 ACEBEAM EC50 Gen III is a high-performance flashlight for outdoor, law enforcement, search and rescue, military and more applications. LONG DISTANCE BEAM reach 326 Meters, utilized CREE XHP70.2 6000K LED, max output 3850 Lumens. The Brightness 26650 Flashlight Rechargeable. WATERPROOF TO IPX8 STANDARD, don't worry to use it in heavy rain day. but please don't use for diving. MILITARY GRADE QUALITY, Professional Flashlights For Police, Military, Everyday Use.